2012 was a good year for American innovation. The outgrowth of the “Data Jam” from the health sector into other areas like energy and education sparked an inspiring wave of entrepreneurship. These Jams — formerly known as Joint Application Modeling Sessions — were a major improvement to the familiar format of public-private collaboration workshops. Looking to 2013, the Energy Department is announcing today the next round of Data Jams. Todd Park. 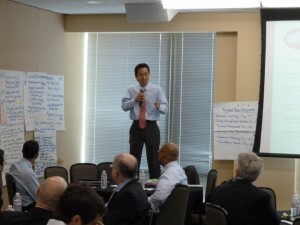 U.S. Chief Technology Officer, speaks at the 2012 Education Data Jam.